This optical “traffic cop” could one day revolutionize how information travels through data centers and high-performance supercomputers that are used for artificial intelligence and other data-intensive applications. Some of the peculiar aspects of our solar system — an enveloping cloud of comets, dwarf planets in weird orbits and, if it truly exists, a possible Planet Nine far from the sun — have been linked to the close approach of another star in our system’s infancy that flung things helter-skelter. Two binary stars, now far apart, skated by one another 2-3 million years ago, leaving a smoking gun: a disordered planetary system (left). Kalas and Robert De Rosa, a former UC Berkeley postdoc who is now a research scientist at Stanford’s Kavli Institute for Particle Astrophysics and Cosmology, describe their findings in a paper accepted for publication in The Astronomical Journal. And that’s good news, because it means more exoplanets than we thought could have a protective magnetic shield sheltering them from the harsh radiation of space, and a chance of hosting life. An analysis of the electrochemistry of moving magma has found sufficiently sized oceans of liquid rock can generate their own magnetic fields, helping us understand not just our own planet’s history, but the chances of life arising on other worlds. “This is the first detailed calculation for higher temperature and pressure conditions, and it finds that the conductivities appear to be a little bit higher, so the fluid motions you would need to make this all work are maybe a little bit less extreme,” says planetary scientist Burkhard Militzer. We should be super thankful for it – without it, we probably wouldn’t be here. “A magnetic field is helpful in protecting a planetary atmosphere from being blown away by the stellar winds,” says co-author François Soubiran, now at the École Normale Supérieure in Lyon, France. Magnetic fields also do a pretty good job of forming an umbrella that deflects high energy particles from bombarding the crust. So it’s a safe bet that no magnetic field equals no life. What’s more, categorising the different ways planets create magnetic fields opens the way to studying the geology of a planet without needing to set down on its surface. “On Jupiter, it arises from the convection of liquid metallic hydrogen,” says Militzer. Just how a surface dynamo might interact with core processes is still anybody’s guess, especially given we know so little about our planet’s interior. “The interaction between the liquid core magnetic field and the magma ocean is not easy to predict, but could result in a significant – or even dominant – dipolar component,” the authors write. Ideally, to form a protective bubble, a magnetic field should have a neat dipole shape, as opposed to a mess of loops like a poodle’s haircut. Most of these insanely big planets – massive rocky bodies that fall short of Neptune’s girth – tend to be pulled close to their temper-prone stars, where solar eruptions and constant heat would make short work of any atmosphere. Unfortunately any close proximity to a star also increases the chances such a world would be tidally locked, making its day and year more or less the same length. The team’s analysis suggests a distinct dipole formation would require a relatively rapid rotation, ruling out those slower-spinning worlds. With the number of exoplanets in our library climbing into the thousands, and a number of Earth-like worlds among them, we’re going to need better ways to study them. Balsara credited Ken Downing, a senior scientist in Berkeley Lab’s Molecular Biophysics and Integrated Bioimaging Division who passed away in August, and Xi Jiang, a project scientist in the Materials Sciences Division, for capturing the high-quality images that were central to the study and for developing the algorithms necessary to achieve atomic resolution in the polymer imaging. Thanks to low-noise superconducting quantum amplifiers invented at UC Berkeley, physicists are now embarking on the most sensitive search yet for axions, one of today’s top candidates for dark matter. The Axion Dark Matter Experiment (ADMX) reported results today showing that it is the world’s first and only experiment to have achieved the necessary sensitivity to “hear” the telltale signs of dark matter axions. The milestone is the result of more than 30 years of research and development, with the latest piece of the puzzle coming in the form of a quantum device that allows ADMX to listen for axions more closely than any experiment ever built. John Clarke, a professor of physics in the graduate school at UC Berkeley and a pioneer in the development of sensitive magnetic detectors called SQUIDs (superconducting quantum interference devices), developed the amplifier two decades ago. ADMX scientists, with Clarke’s input, have now incorporated it into the ADMX detector at the University of Washington, Seattle, and are ready to roll. “ADMX is a complicated and quite expensive piece of machinery, so it took a while to build a suitable detector so that they could put the SQUID amplifier on it and demonstrate that it worked as advertised. Which it did,” Clarke said. The ADMX team published their results online today in the journal Physical Review Letters. Dark matter: MACHOs, WIMPs or axions? Dark matter is the missing 84 percent of matter in the universe, and physicists have looked extensively for many possible candidates, most prominently massive compact halo objects, or MACHOs, and weakly interacting massive particles, or WIMPs. Despite decades of searching for MACHOs and WIMPs, scientists have struck out; they can see the effects of dark matter in the universe, in how galaxies and stars within galaxies move, but they can’t see dark matter itself. Axions are becoming the favored alternative, in part because their existence would also solve problems with the standard model of particle physics today, including the fact that the neutron should have an electric dipole moment, but doesn’t. Like other dark-matter candidates, axions are everywhere but difficult to detect. Because they interact with ordinary matter so rarely, they stream through space, even passing through the Earth, without “touching” ordinary matter. ADMX employs a strong magnetic field and a tuned, reflective box to encourage axions to convert to microwave-frequency photons, and uses the quantum amplifier to “listen” for them. All this is done at the lowest possible temperature to reduce background noise. 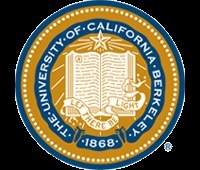 Clarke learned of a key stumbling block for ADMX in 1994, when meeting with physicist Leslie Rosenberg, now a professor at the University of Washington and chief scientist for ADMX, and Karl van Bibber, now chair of UC Berkeley’s Department of Nuclear Engineering. Because the axion signal would be very faint, any detector would have to be very cold and “quiet.” Noise from heat, or thermal radiation, is easy to eliminate by cooling the detector down to 0.1 Kelvin, or roughly 460 degrees below zero Fahrenheit. But eliminating the noise from standard semiconductor transistor amplifiers proved difficult. They asked Clarke, would SQUID amplifiers solve this problem? Though he had built SQUID amplifiers that worked up to 100 MHz frequencies, none worked at the gigahertz frequencies needed, so he set to work to build one. By 1998, he and his collaborators had solved the problem, thanks in large part to initial funding from the National Science Foundation and subsequent funding from the Department of Energy (DOE) through Lawrence Berkeley National Laboratory. The amplifiers on ADMX were funded by DOE through the University of Washington. Listening for dark matter: How ADMX employs cold cavities and SQUID amplifiers to find the elusive axion. Courtesy of University of Washington, Seattle. Clarke and his group showed that, cooled to temperatures of tens of milliKelvin above absolute zero, the Microstrip SQUID Amplifier (MSA) could achieve a noise that was quantum limited, that is, limited only by Heisenberg’s Uncertainty Principle. “You can’t do better than that,” Clarke said. This much quieter technology, combined with the refrigeration unit, reduced the noise by a factor of about 30 at 600 MHz so that a signal from the axion, if there is one, should come through loud and clear. The MSA currently in operation on ADMX was fabricated by Gene Hilton at the National Institute of Standards and Technology in Boulder, Colorado, and tested, calibrated and packaged by Sean O’Kelley, a graduate student in Clarke’s research group at UC Berkeley. The ADMX team plans to slowly tune through millions of frequencies in hopes of hearing a clear tone from photons produced by axion decay. Clarke noted too that the high-frequency, low-noise quantum SQUID amplifiers he invented for ADMX have since been employed in another hot area of physics, to read out the superconducting quantum bits, or qubits, for quantum computers of the future. Much of the effort of the Berkeley group has been to invent and develop new plasma physics techniques for synthesizing antihydrogen. A recent paper in Physical Review Letters, part of the thesis work of Celeste Carruth, reports an improved method for controlling plasma density and temperature, which in turn enabled a factor-of-ten increase in trapping rates. These increased trapping rates enabled reduced statistical and systematic errors that previously limited ALPHA measurements. The future is very promising. Improvements to the infrastructure for antiproton generation at CERN will provide on-demand antiprotons after the upcoming two-year CERN accelerator shutdown. The research has benefited from nearly two-dozen undergraduate students who have spent a summer at CERN working on ALPHA and worked here on the related plasma physics.